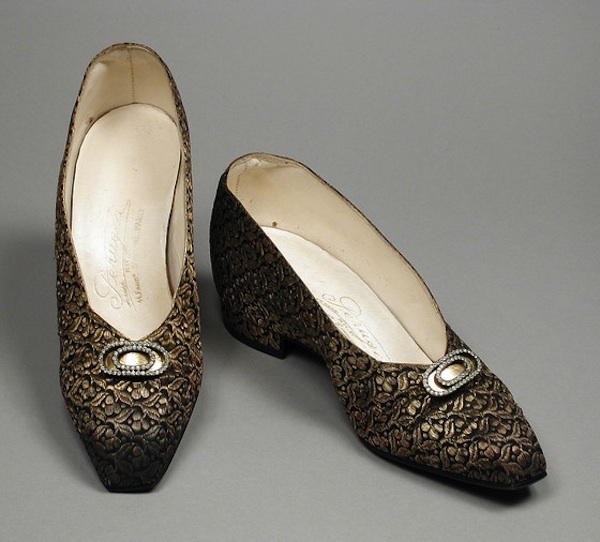 Il LACMA - Los Angeles County Museum of Art - possiede una ventina di modelli di calzature di André Perugia, tra cui un paio a marchio Padova. Oltre alla serie ispirata ad Arlecchino, i modelli della collezione sono quasi tutti degli anni ’20, quando ancora Perugia era in Faubourg St Honoré, tranne un paio di modelli riconducibili agli anni ’30. Quasi tutti i modelli appartennero a Ganna Walska, nome d’arte di Hanna Puacz, e furono donati al museo dalla nipote di lei, Hania P. Tallmadge. 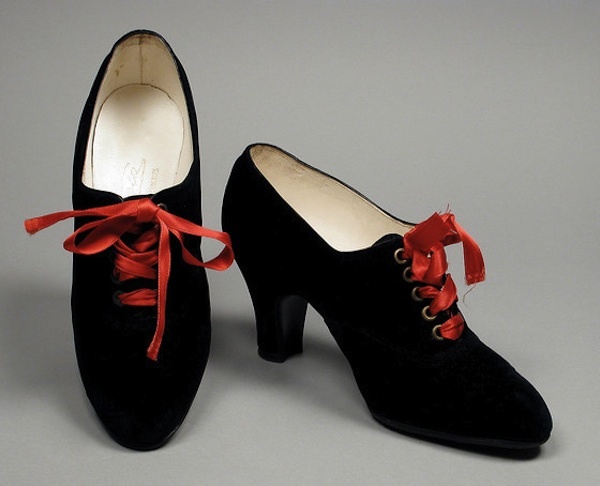 The LACMA - Los Angeles County Museum of Art owns two dozen of footwear models by André Perugia, including a few branded Padova. In addition to the Harlequin-inspired shoes, the models in the collection are almost all from the '20s (Perugia was still in Faubourg St Honoré) save for a couple of models from the '30s. Almost all the shoes belonged to Ganna Walska, stage name of Hanna Puacz, and were donated to the museum by her nephew, Hania P. Tallmadge. Collezionista di abiti, calzature, gioielli preziosissimi e mariti (si sposò ben 6 volte), Ganna Walska era nata nel 1887 a Brest-Litovsk, in Polonia, con umili origini. Grazie a una bellezza che aveva attirato, oltre ai mariti, anche le attenzioni dello Zar di Russia, riuscì a procurarsi un' immensa fortuna finanziaria ma non riuscì a coronare il sogno di una gloriosa carriera come cantante lirica e attrice. Nella sua autobiografia "Shocking Life", Elsa Schiaparelli, che all'inizio degli anni '20 era amica della Walska, raccontò il fiasco clamoroso nel debutto a Cuba nel ruolo di Fedora: la cantante fu addirittura costretta a fuggire di nascosto dal teatro abbandonando l'esibizione. Le sue attenzioni si spostarono poi all’ambito botanico e la portarono a trasformare la tenuta Lotusland a Montecito, California in uno straordinario parco botanico ancora oggi esistente e visitabile. Nel 1943 raccontò la propria vita nell’autobiografia “Always Room At The Top” (R.R. Smith edition). Collector of clothes, footwear, jewelry and husbands (she got married 6 times! ), Ganna Walska was born in 1887 in a humble family from Brest-Litovsk, Poland. 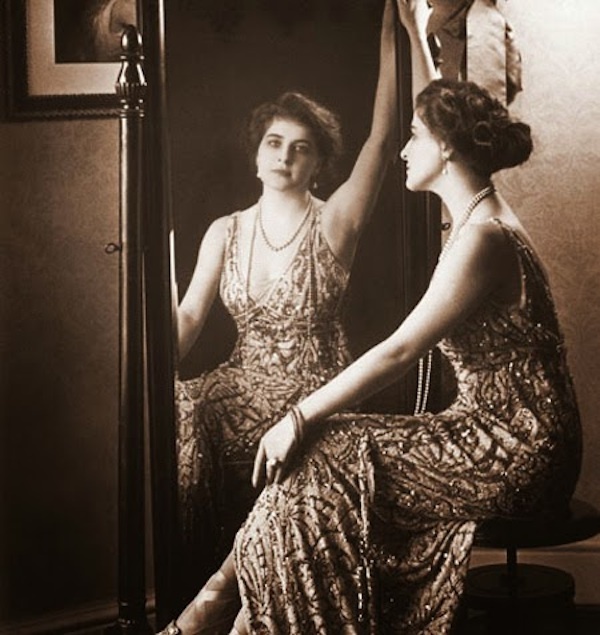 Gifted with a beauty that also attracted the attention of the Russia's Tsar, she was able to amass a huge financial fortune and yet could not realize her dream of a successful career as an opera singer/actress. 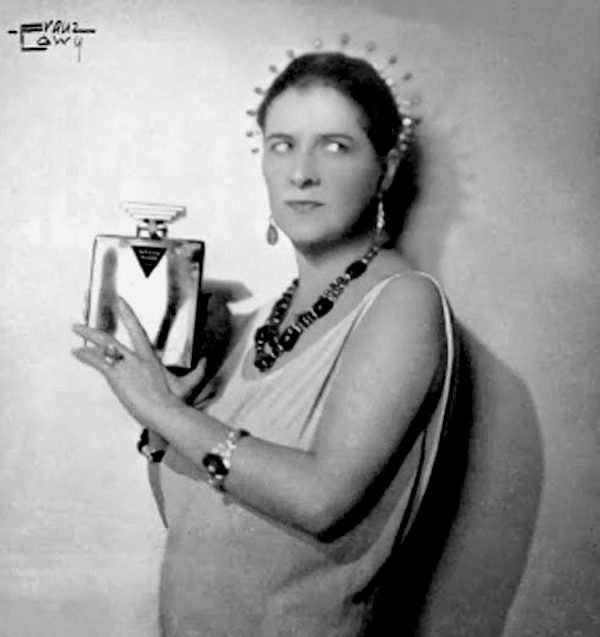 In her autobiography “Shocking life”, Elsa Schiaparelli, who was a friend of Ganna at the beginning of the '20s, recalls the resounding fiasco in Cuba when Ganna sang in the role of Fedora. The singer was even forced to flee secretly from the theater. Her attention then shifted to the botanical field: she bought the Lotusland estate in Montecito, California and turned it into an extraordinary botanical garden still existing today. In 1943 she published her autobiography "Always Room At The Top" (R.R. Smith edition). Please note the Parisian address: 2, Rue De La Paix, in a few years that will be Perugia's. The financial efforts to push Ganna were huge and primarily sponsored by third husband Harold Fowler McCormick. Together they also bought the Théâtre des Champs-Élysées in Paris to no avail. Investments and failures made someone think Ganna Walska as the source for the Susan Alexander character (second wife of Charles Foster Kane) from the amazing Citizen Kane by Orson Welles. 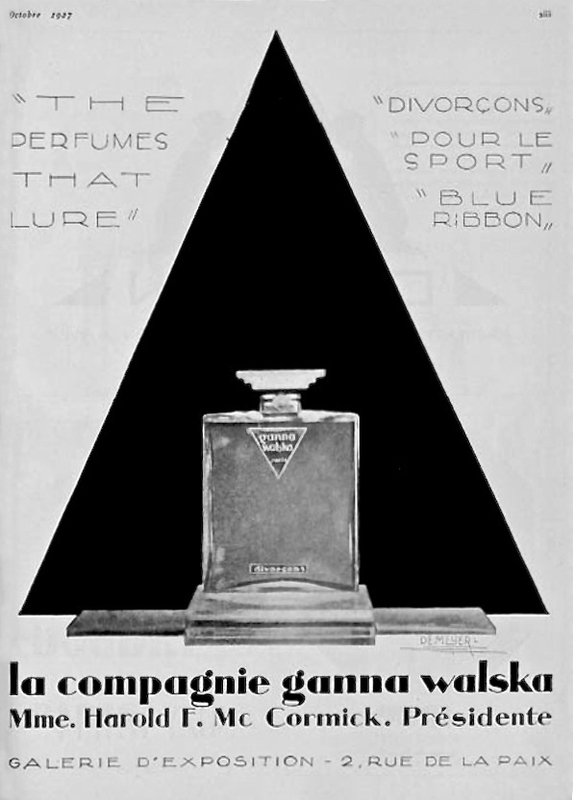 She probably would have laughed about the connection; Ganna Walska had sense of humor: like when she created a line of perfumes called "Divorçons" (Let's divorse). Not to mention when she was asked about the grimy details of McCormick's split (he abandoned her on the steamer New York-Paris moments before leaving): she said to the reporters: "You can have the greatest love ... and a simple seasickness spoils everything!". Brilliant!